Another wonderful start to a bright Sunday morning, Daphne and I had a 4.5 mile walk in Porthcawl. Lots of people out, running, walking and strolling along with their dogs. 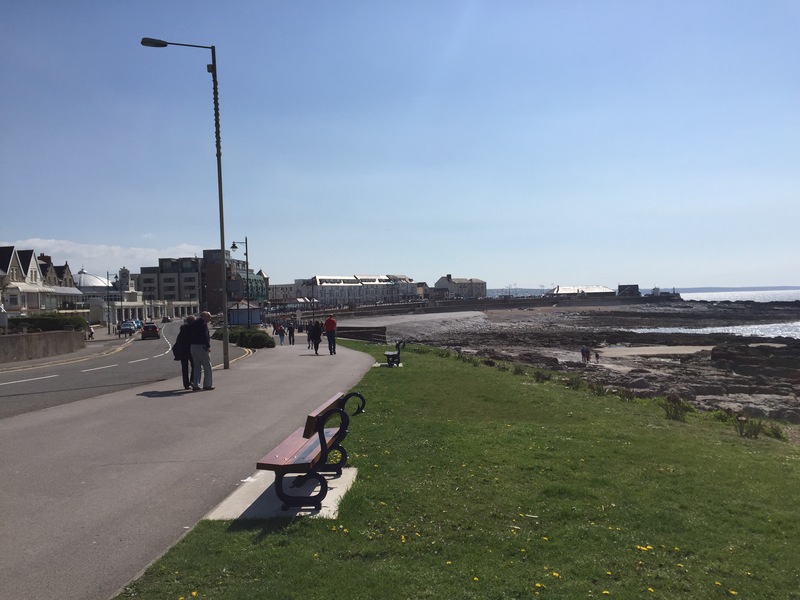 On a sunny morning, there is nowhere better than Porthcawl. The WRU are pleased with the outcome of last Saturday’s event at the Principality Stadium, quoting 68,000 supporters and 14 tries. The second figure is correct but to call all 68,000 as supporters is an over exaggeration. Where are all these so called supporters week in week out, they are definitely not at the regional grounds. Cardiff Blues were in the best position they have been in for a long time, heading into the match against the Ospreys. It was a crucial match in deciding European places next year so why did they have to give up a major home advantage. Not that I am suggestion Ospreys would have lost at the Arms Park, but the atmosphere would have been electric at home. The atmosphere during the match at the Principality Stadium was non existent. As for allocation of seats for the home season ticket holders, we sat between the 22 and try line (normally sit on half way at the Arms Park) so we missed a lot of the match. Interestingly, the centre area of the middle tier, opposite side to us, was less than half full. Money obviously matters more than true supporters in Welsh rugby. I am looking forward to what promises to be a great season next year, much praise to the way Danny Wilson has brought the team on, but I hope Judgement Day 5 isn’t a must win game as I for one will not be going.